In Oxo’s 2014 collection, the Oxokart 500SP Race is Oxo’s premier buggy. The finish is smooth, balanced and racy because this buggy-kart was created by Oxo R&D engineers, who themselves, are utterly passionate about fast moving, all-terrain leisure vehicles. Both powerful and classy, when you hit the trails at the wheel of this buggy you will have full force energy and unadulterated fun. Aluminum rims, 12V socket, bucket seats, Seatbelt 4 points, sport steering Wheel, Electric winch, luggage rack, spare Wheel, car body polyester. You know Oxo Bike and know-how in buggies and karts? 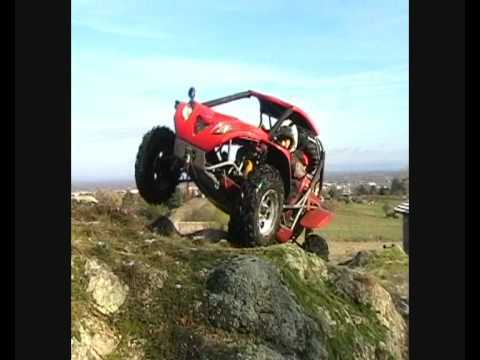 Oxo Oxo becomes Bike and extends the history of buggy made ​​in 100% configurable France.